Mozilla Firefox is a free and open source web browser descended from the Mozilla Application Suite and managed by Mozilla Corporation. As of February 2011, Firefox is the second most widely used browser with approximately 30% of worldwide usage share of web browsers. The browser has had particular success in Germany, where it is the most popular browser with 60% usage. To display web pages, Firefox uses the Gecko layout engine, which implements most current web standards in addition to several features that are intended to anticipate likely additions to the standards. The latest Firefox features include tabbed browsing, spell checking, incremental find, live bookmarking, a download manager, private browsing, location-aware browsing (also known as “geolocation”) based exclusively on a Google service and an integrated search system that uses Google by default in most localizations. Functions can be added through extensions, created by third-party developers, of which there is a wide selection, a feature that has attracted many of Firefox’s users. 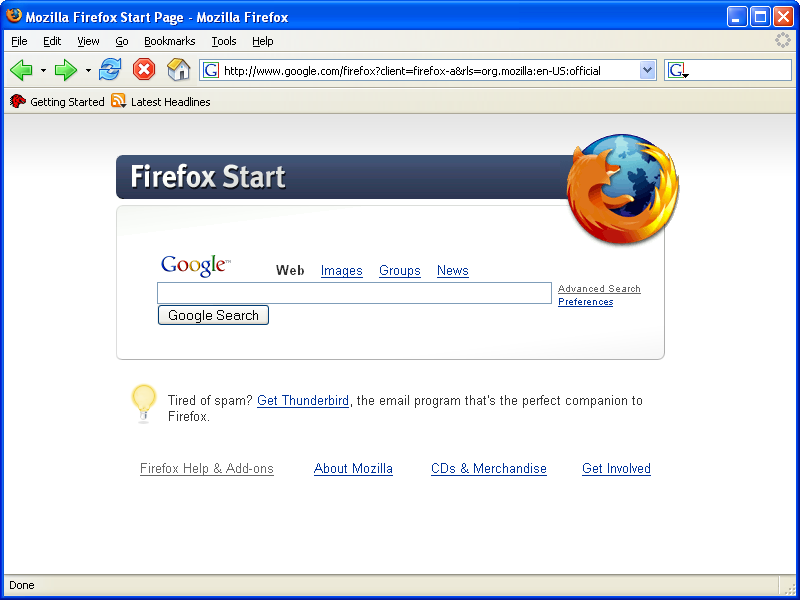 Firefox runs on various operating systems including Microsoft Windows, Linux, Mac OS X, FreeBSD, and many other platforms. Its current stable release is version 3.6.15, released on March 4, 2011. Firefox’s source code is tri-licensed under the GNU GPL, GNU LGPL, or Mozilla Public License.